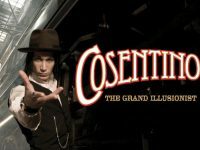 Award winning illusionist, Paul Cosentino will be performing his death-defying acts at Mastercard Theatres from 17 August to 27 October 2017. 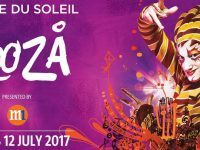 Cirque du Soleil returns to Singapore for the fifth time this July with an all-new thrilling Big Top production KOOZA after a season run in Australia. Review: The Blue Man Group. Are you quite blue? 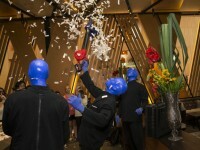 Sylvia Toh catches The Blue Man Group at the MasterCard Theatres at Marina Bay Sands. Here’s why you shouldn’t miss it before it ends on 24 April 2016. American Korean stand up comedian Margaret Cho is headed to Singapore on 5 March 2016 as part of her The Psycho Tour at Kallang Theatre. 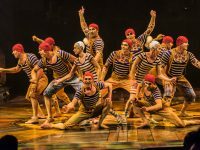 Esplanade Theatres on The Bay has consolidated its different membership databases into one programme called Esplanade&Me. Our editor watched Cavalia in Brussels in April and he is convinced that this enchanting artistry of horses and humans should not be missed.